I just want to give this a shot, so why not? If Kona and I agree, we will post the replay of the battle on one of the channels and present it to the Union. I'll get back to you on whatever I want to use 430 or 500. I have to think about that. I haven't decided on a car so it's good. Sorry but its guna be one sided, why not hotlap for a few weeks first? I'm feeling pretty confident so I'm just gonna wing it. I'll definitely hotlap the build to dial it in. 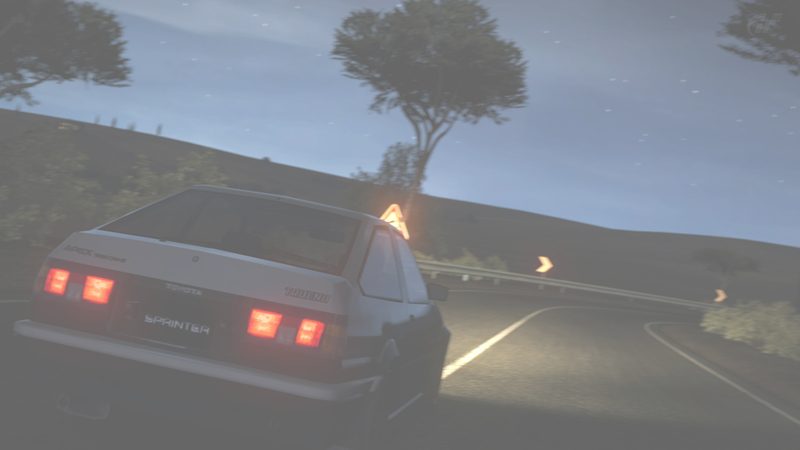 I'll be using the Nissan Skyline R32. The OP has been updated. The battle will commence this weekend. Posting in here because I dont want to derail the "personal best" thread. Just curious if overtaking is allowed within your race with Kona? It's normal cat-and-mouse rules like on Forza. Overtakes are allowed. Right, that should be interesting then. Obelisk, what day and time this weekend would work best for you? I'm available tonight, Saturday, and Sunday. Especially since it seems like Kona may be pushing 350 HP with that R32. I only have 300 flat in my S2000. @Kona- Is tomorrow at 4 (1 pm your zone) good? I think I'll be available at that time. I'll let you know if anything happens, though. Are spectators allowed? Alright. Also, my R32 is actually pushing 383 HP along with 401 FT-LB of torque. Oh lord I'm at a huge disadvatage. And your S2000 weighs like 200 kg less. No disadvantage. Well kinda. But that HP difference presents an issue at high speeds. Then pick a different car if you feel like you're at a disadvantage. Honestly it's the AWD that's going to kill you, not the hp difference. I don't like AWDs in GT5. They slide around too much for me. I'm gonna stick to the S2K...Well, better get to practicing.